But travelling to each country to meet with a lawyer or solicitor to draw up the legal documents is simply not practical, especially if there are other family members involved. This makes the estate planning bill escalate into the thousands of pounds or dollars. And if you were ever to need an update to your Wills, you would then have to travel back to each country to meet again with your legal advisor. So how do you write a Will? Fortunately, there is another way. The service at ExpatLegalWills.com is set up to support the creation of a Last Will and Testament for assets held in Canada, the UK or the US when you are living in another country, or if you live in one of these countries, but have assets and a Will from your old country of residence. Why do I need an Expatriate Will? It is very difficult to include foreign assets in a standard Will. Foreign assets are likely to be subject to the probate and inheritance laws of that country. Your Executor may have to be granted authority to act in the foreign jurisdiction and your Will may not be accepted in that jurisdiction. That is why we offer an Expatriate Will service — to support situations where you own assets in multiple countries or hold assets in a country outside of your home country. For example, if you are living in Canada and own Canadian assets, but you also own assets in the United States, you can use the MyExpatWill™ service to create a United States Will for your U.S. assets. Likewise, if you are a Canadian (or U.S. or U.K. citizen) living abroad, and need a Will to cover your Canadian (or U.S. or U.K) assets, you can use the MyExpatWill™ service to create a Will, whether or not you have a Will in your country of residence. Alternatively, if you are new to Canada (or the U.S. or U.K) and have assets in another country, and already have a Will in place for that country, you can use the MyExpatWill™ service to create a Will for your Canadian (or U.S. or U.K) assets. The ExpatLegalWills.com Will service allows you to create a Will under the estate planning laws of Canada, the United States and the UK (England and Wales). So, for example, if you are an Expat working in the Middle East, but still have a home in any of these countries, you can prepare your Last Will and Testament from your home. You are required to enter your details; name, location and email address. The name and location are required in order to create the Will, the email address is required to send your order confirmation and account details. In order to write a Will, you need to describe your family status. By describing your marital status, the MyExpatWill™ wizard is able to personalize the structure of your Will and give you appropriate advice regarding the distribution of your estate. If you have minor children you may have to set up a trust for handling their share of the estate. Your “executor” is your personal representative, who will be responsible for distributing your estate (property and assets) according to the wishes outlined in your Will. There are a number of important responsibilities of an executor, which is why the selection is so important, and why it is also recommended that you seek approval from the executor before they are expected to perform these duties. The executor will have to find and review your Will, make sure that nobody else has access to any of your property, and notify your next of kin and beneficiaries. Different countries have different processes, but at a high level, the Executor will have to probate the Will. In the UK for example, the “Grant of Probate” of the Will has to be obtained from the High Court and it is the executor’s duty to apply. In order to administer the estate, your executor must be able to prove to the world that he or she has the legal authority to do so. The best proof is the “Grant of Probate”, a document from the High Court certifying that your Will is valid. Until the Grant of Probate has been obtained, the executor is known as your Personal Representative and his authority over your assets is only confirmed once he has obtained the Grant of Probate. However, as Personal Representative, he can take all necessary steps to secure your assets and to obtain the information required to apply for the Grant of Probate. When the Will is proved, by the issue of a grant of probate, it confirms and makes official the powers that the executor has had since your death. In the absence of any family member or if there is a dispute between your family, then the executor will, by default, be expected to make your funeral arrangements and pay for funeral expenses out of your estate. It is a good idea to name either a family member (or, failing that, the executor) within our MyFuneral™ service as the person with responsibility for ensuring that your wishes are respected. The executor will have to make an inventory of the property in your estate and value the property. The executor has the responsibility of protecting the property of your estate. They must ensure that all valuables are kept safe and that the property is fully insured. Until the estate is distributed, the executor has to keep the money and investments in your estate properly invested. They will have to choose low-risk investments, as your beneficiaries could sue your executor for making bad investments and reducing the value of the estate before it is given to them. Once the estate has paid all the debts and taxes, the executor is able to distribute the property to the beneficiaries. The executor is personally responsible for distributing the property that remains in the estate in accordance with the terms of the Will. They may have to pay legacies of money to nominated persons, transfer items of property to a beneficiary, or hold the money in trust according to the instructions laid out in the will. Finally, the executor will have to provide detailed accounts to the beneficiaries including a detailed list of everything that was received and paid out by the estate. This is one of the main components of your Will. You are first prompted to consider any charitable bequests. Research has shown that many people simply forget to consider charitable bequests, so we have made a point of incorporating this prompt. You then step through the distribution of your assets. The first option is the most common option in a situation where a person has dependents. This allows you to simply leave all of your possessions directly to your next of kin. You then make alternative plans in case your first choice beneficiary does not survive you. If you have particular possessions that you would like to leave to different people, then select you can select an option that starts with the words “I would like to leave specific items to specific beneficiaries…”. You would also select one of these options if there were particular individuals or organizations that you would like to benefit from your estate, even though everything else would go to your dependents. If you have particular possessions that you would like to leave to different people, but you do not necessarily want your dependents to receive the remainder, then you would select the option “I would like to leave specific items to specific beneficiaries, and let me describe how to leave the rest.”. This option gives you the flexibility to leave specific items to specific individuals or organizations, and then either divide the residual estate, or leave it all to another person or organization. Be careful when selecting this option that you do provide for your dependents, as this may be a legal responsibility. If you have indicated that you have children from a previous relationship, then you will see an additional 4 options on this page for leaving your possessions to your spouse/partner “in trust” or leaving a “life interest” to your spouse/partner. These options protect the inheritance for your children. In particular, you can either give your residual estate to your spouse/partner “in trust” so that they can live off the proceeds of this estate while they are still alive, or you can give a “life interest” in your home to your spouse/partner so that they can continue to use it while they are still alive. In both cases, when your spouse/partner dies, everything that was left to them will then pass to your children rather than follow any directions in your spouse/partner’s Will. If none of the preceding options is suitable for your situation, then you can select the option that starts with the words “None of the above…” and describe exactly how you wish to distribute your estate. In this case, you must be extremely careful that all eventualities are covered in your plans, and that there is no ambiguity in your instructions. It is very important when writing your Will that you cover the “what if” scenarios. This may seem a little macabre or pessimistic, but all possible outcomes must be supported by your Will. You need to have a plan if you are involved in a common accident with your main beneficiary. You need to have backup appointments if your first choice Executor pre-deceases you. The primary plan described in your Will is often quite straightforward. It is the backup plans that take the most thought. At ExpatLegalWills.com we guide you through these scenarios to ensure that you always have a plan that works, no matter what happens. If any beneficiary in your Will is a minor, then you should set up a trust for their inheritance. If a trust is not set up, they will receive their entire inheritance at the age of majority (usually 18 or 19). A trust not only allows to you specify the ages of distribution, but also sets out how the funds are to be managed. For example, whether the children would have access to money to pay for healthcare or education costs. Typically your Will would also require you to name a Guardian for minor children, but this is an Expat Will that deals specifically with overseas property, so some traditional Will sections are not included within this Last Will and Testament. The final step in creating a Will is signing the document. The signing requirements are the same for all jurisdictions covered by our service. All US States, all Canadian Provinces and the UK (England and Wales) require that the document is signed in the presence of two adult witnesses who are not beneficiaries in the Will. The witnesses must have nothing to gain from the contents of the Will. Once it is signed and witnessed, it becomes a legal Last Will and Testament. There is no legal requirement to use the services of a lawyer or solicitor, nor does the document have to be notarized to make it legal. Once the document is signed and witnessed, it must be stored in a safe place that is known and accessible to your Executor. You should not hide it, or make the storage place to obscure or secretive. If your Executor cannot find it when they need it, you will effectively die without a Will, and your efforts to write your Will would be wasted. There is no requirement to register your Will. In fact, there is no Will registry in any jurisdiction supported by our service. Your Will is only registered after you have passed away and the Will has been probated. The whole process should take about 20 minutes to half an hour. It isn’t expensive or time consuming. But having a Will takes a tremendous burden off your loved ones. Take the time today to prepare your Last Will and Testament. If you need help we have a phone and email support team who can guide you through the process. As my present age is 87 and i am retired here in Thailand , I am trying to arrange for my demise . i have a considerable amount of money in U.K Premium Bonds abd wish for this money to be donated to my executer namely “Wallapan Suchi ” who will have to pay quite a lot of money for my burial etc . and of whom is declared on the death form as my nominated person to receive the P/ Bond assets. I have been told by a Mr j. Grierson of P/ Bond (WWW.Nsandi. )that although I name this person as my benefactor they cannot accept same and that this person would have to contact the probate office for a “UK Grant of Representation” . This can be very difficult as this person cannot read write English and speaking English is very limited and as like most Thai people do not really understand the English language when they know English words..
And as I understand things for expats Wills have to be written in both countries which is not possible. and of course would be very expensive coupled with air fares hotels etc . i would be very gratefull if in common terms you would advise me regards the above . Dear Mr Tyrell, Thank you for your comments and questions. Unfortunately we cannot give you legal advice on this blog, but we can give general information. In general, we recommend writing a Will for each country in which you hold assets. In your case, we would recommend writing a Will for your UK assets, and you can do this using our service at ExpatLegalWills.com. But the gentleman from the Premium Bonds office is correct. You will name an Executor in your UK Will, and this person will have to go through the probate process in the UK. They will be given a Grant of Representation and it sounds like this is the document required by the Premium Bonds office to transfer ownership. It is unfortunately complicated and we are not sure of any shortcut to this. We cannot legally give you any specific advice beyond this. Nice information on way to write a will. Hi Brian, thank you for getting in touch through our blog. You can quickly and easily create a Will to cover your UK property using our service at ExpatLegalWills.com. 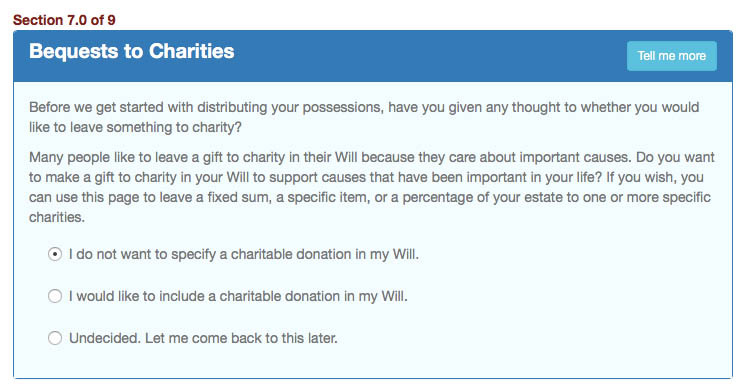 Just click on Start your Will on the home page and you will be guided through the 9 sections to prepare your document. At the end, you just download and print your Will and sign it in the presence of two witnesses who are not beneficiaries in the Will. Once it is signed and witnessed, it will be your legal Last Will and Testament and our service is designed to help you prepare a document that will deal exclusively with your UK assets. If you have any questions, just contact our support team using the contact information on our “Contact Us” page. My husband and I are living in Costa Rica and have a home in CR, savings accounts and banking. I am from the US and have investments in the US. I have children from a previous marriage in the US. Does this fall under your options for a will? I want to avoid probate. Hi M.K. We typically recommend that you prepare a Will for each country in which you hold assets. You would need a Will written under the laws of Costa Rica, but you may also need a Will to cover your investments in the US. Our service can help you with the US portion of your estate, but we would recommend that you seek local assistance in having a Will drawn up for your Costa Rican assets. My husband and I are both u.s. citizens but are residents in Mexico. We have financial assets in the U.S., but no home at present. Don’t we have to have to have residence in a state in order to have a legal will? You do not need to have residence in the US in order to prepare a Will to cover US assets. You should create a Will for each country in which you hold assets, your residency is not as important as the location of your assets.